An important part of our natural forest restoration project in Laguna de Apoyo Nature Reserve is our tree nursery, or vivero. Here is where seeds turn into seedlings under the watchful eye of Estacion Biologica staff and environmental volunteers. Most (but not all!) trees in the tropical dry forest ecosystem produce seeds during the dry season, between December and May. 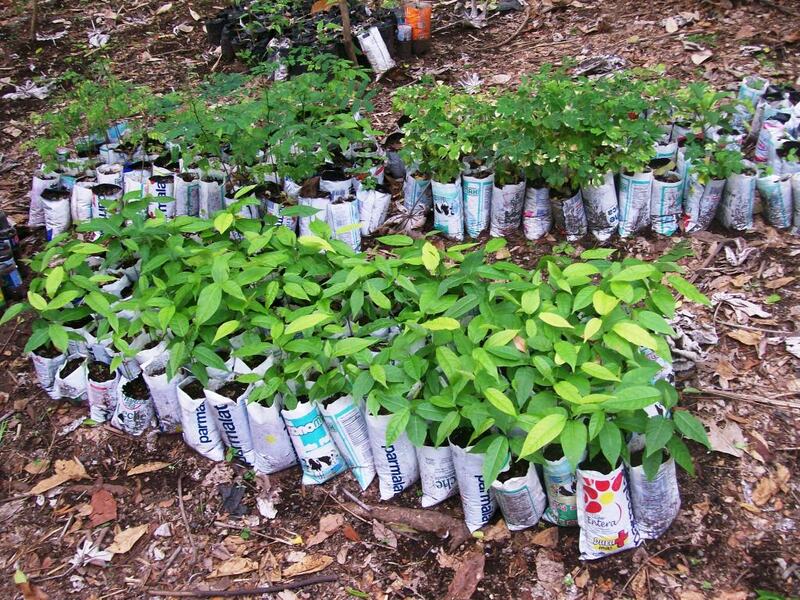 We gather seeds of native trees in the forest, prepare them, and then plant them in nursery bags in our vivero. Once the rains begin in May, we begin the laborious task of transferring the seedlings to plots where the trees become part of the restored, natural forest. 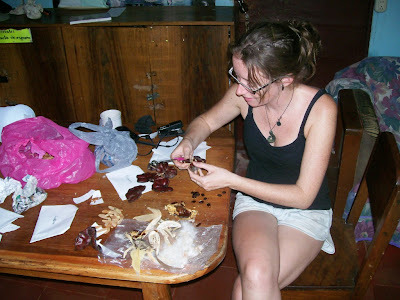 Lu fills bags in the Vivero Laguna de Apoyo. Photo by Jeffrey McCrary. 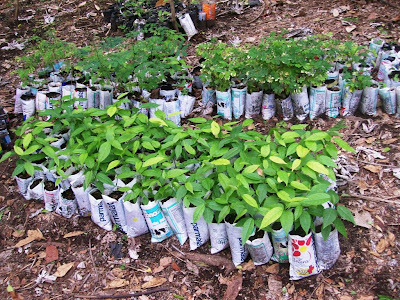 Reforestation trees are grown in small, plastic bags. In the foreground, milk bags and soft drink bottles are recycled as nursery receptacles for nursery trees. By re-using materials, we reduce waste and we also reduce our costs. Photo by Jeffrey McCrary. Maria volunteered in our vivero, saving the earth one tree at a time. Photo by Jeffrey McCrary. Thanks to reforestation volunteers such as Wyatt, the vivero gives us ample trees to plant in our reforestation plots every year. Photo by Jeffrey McCrary. 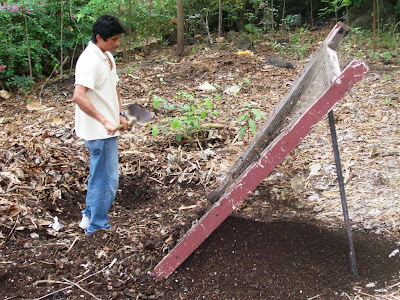 Elmer screens the rocks and debris from compost in our vivero. After screening, the composted earth is ready for planting tree seeds. Photo by Wyatt Reed. By composting our kitchen waste, we create organically, nutrient-rich soils for the seedlings to develop. Furthermore, we dramatically reduce our waste going to landfill. The compost soils are completely decomposed with only a little attention after less than one year. Seeds from the trees in our reforestation project take a number of forms. Photo by Belen Camino. Austin participated in our reforestation project as a study-abroad project from Goshen College. We seek reforestation volunteers year-round. 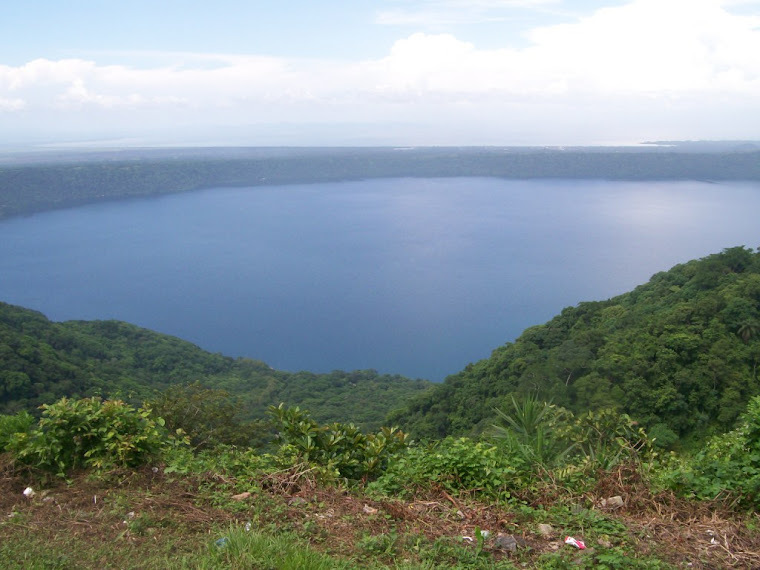 Whether for a week or a year, your contribution would help us keep Laguna de Apoyo Nature Reserve wild and forested. Please contact us if you are interested in planting trees with us or if you would like to make a financial or in-kind contribution. 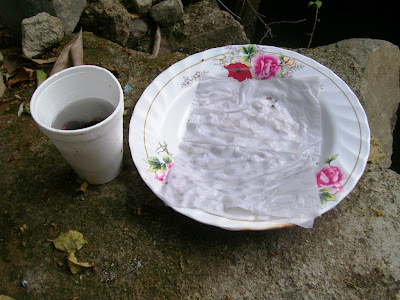 Milk bags are given another life as reforestation material. Photo by Jeffrey McCrary. 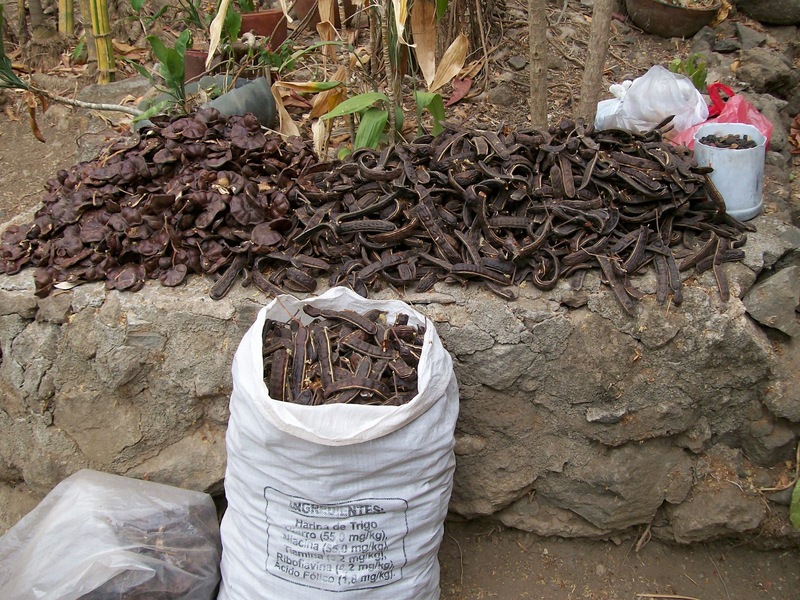 After collection, seeds require a number of steps for processing before planting . Photo by Jeffrey McCrary. Bountiful seed collections are always welcome! Photo by Jeffrey McCrary. Some seeds do not germinate easily without help. 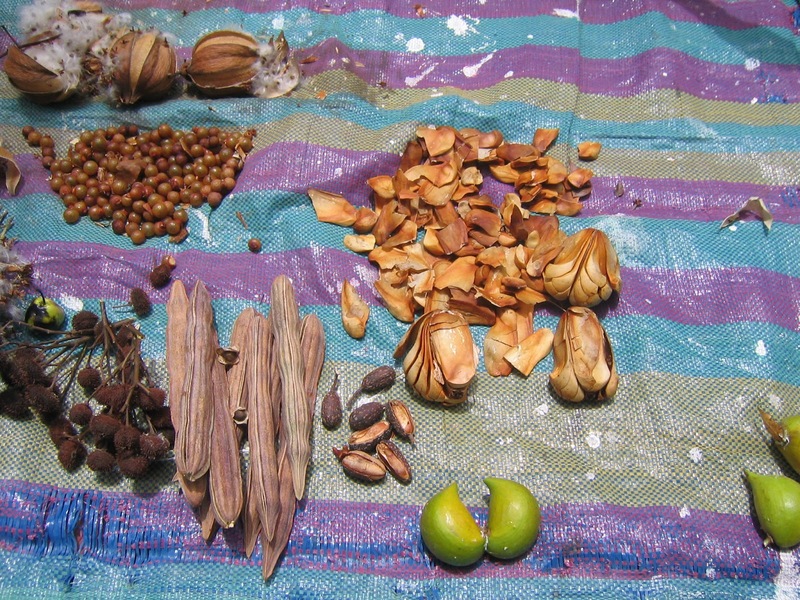 Scratching and soaking are often used to promote germination in tropical seeds. Photo by Giselle Hernandez. 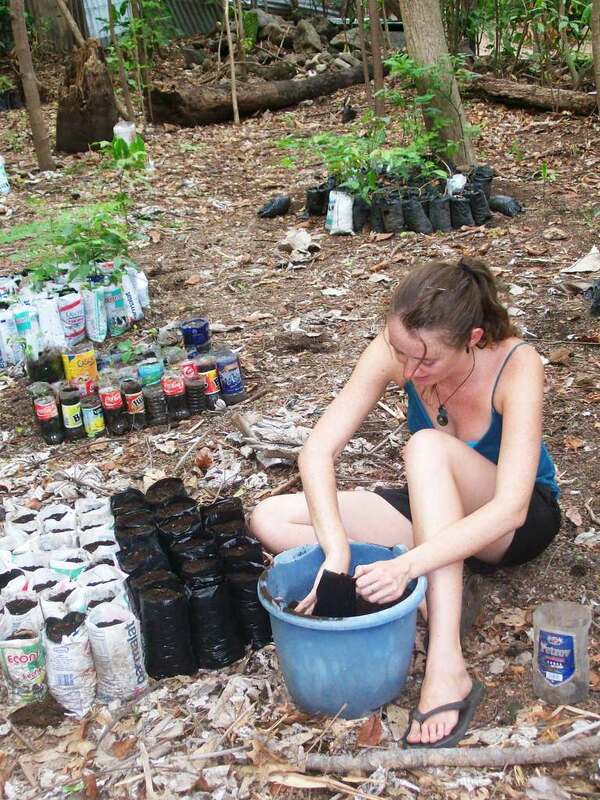 We are proud of the efforts of volunteers in reforesting Laguna de Apoyo Nature Reserve.